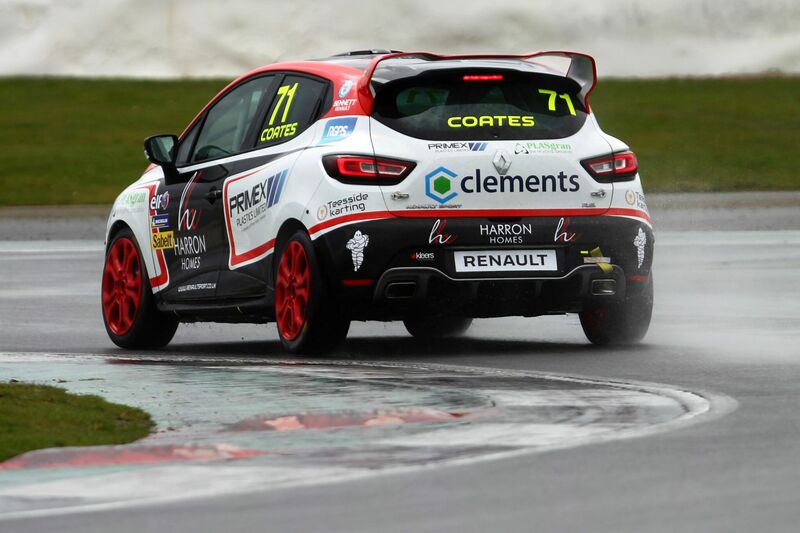 Our friend Max Coates will once again be hitting the track in the Clio Cup this year, and we’re extremely proud to be supporting him not only as a sponsor, but as the people behind his awesome looking livery! The process of transforming Max Coates' car into the final product took all but 2 days, and this was all thanks to Richard, our resident vehicle livery expert. The striking black and red vinyl pieces were applied to the car first, followed by the sponsorship stickers, which finishes off the car and makes it totally unique to Max and his team. We're really happy with how the car turned out, and we hope Max is as excited about racing it as we were stickerin' it up! Can you spot the RGPS logo on the car? See you on the track, Max! We always enjoy working with Max, and being able to sponsor him and get to work on these awesome cars is something we’re really proud of. We wish Max the best of luck in his 2018 racing endeavours; he’s recently set the pace in the 2018 Renault UK Clio Cup Media Day’s official test at Silverstone, so it looks like it’s set be a great season for him. If you’d like to keep up to date with Max and his racing, then go check out his website here! Go Max!